His power: Unknown, but if it follows the comics, he essentially possesses the power of darkness—it sounds silly, but it gives him the ability to become intangible, teleport, and, more disturbingly, gives him an insatiable hunger that can only be temporarily allayed by consuming the life force of others, by absorbing them into his dark form. The less creepy way he maintains control is by staying near Dagger (a.k.a. Tandy Bowen), who emits the life force that sustains him. His story: Not yet revealed, but if it’s somewhat akin to the comics’ origin story, Tyrone Johnson was a runaway teen who had made his way to New York City, where he befriended fellow runaway Tandy Bowen. The two were eventually captured by thugs and experimented on by a criminal scientist, whose experimental drug caused them both to develop powers they use to fight crime. Currently, Cloak is: Waiting to be birthed over at the Freeform channel. Where will we see him next? 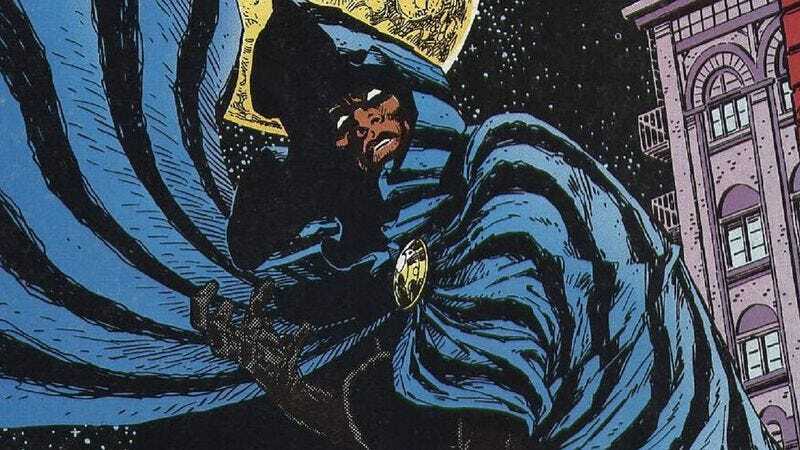 Freeform’s Cloak And Dagger series is currently in development.